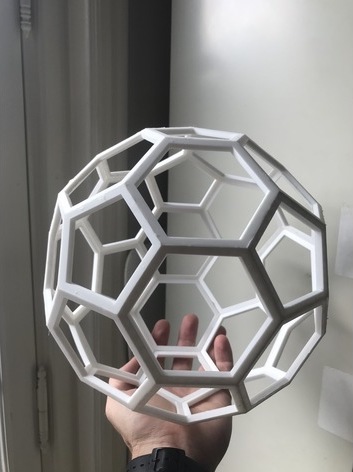 Kit for building the football shape thinggy : 2 STL files, essentially a pentagon to print 12 times and a Hexagon to print 20 times. Needs assembly and gluing. Check the section how I designed this and the Sketchup file if you want to see how it was made.